La Côte d’Or Café in Arlington’s East Falls Church neighborhood is under new ownership. Now on the menu: escargots, frog legs and foie gras. The restaurant, located at 6876 Lee Highway, has been in business for more than two decades. 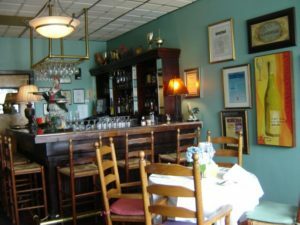 The well-loved restaurant, La Côte d’Or Café in Falls Church, has a new owner and is more authentically French than ever before. The restaurant was purchased in February of 2016 by Chef Jacques Imperato, the past owner-chef of three other successful French restaurants in Northern Virginia. Chef Jeanmarc Drimille who has been with La Cote d’Or for the past 13 years will still head up the kitchen. Possibly the most exciting news is Imperto leading a return to excellent French wines at La Côte d’Or Café. The La Côte d’Or region in Burgundy is famous for some of the best wines in the world. The wine list has increased already to 22 wines, 14 of which are Burgundy, with more selections to come. Some of these healthier sauce substitutes translate to a menu with many gluten free options. Also, everything on the menu is made from scratch, a practice that is a tradition in French cafe’s but not in typical North American restaurants. The restaurant is perfect for date night with details that seem to be all too rare, like tables adorned with white linens and fresh flowers. During nice summer days, a wall of doors lining the sidewalk are opened, turning the atmosphere into that of a lovely Parisian cafe. Imperato attended culinary school in Nice, France, and has worked with some of the most prestigious chefs known in the Côte d’Azur area today. He has previously worked at Washington, D.C.’s Maison Blanche, Le Lavandou, and Tiberio. In the past, he owned Chalet de la Paix in Arlington as well as Mediterranee Restaurants in Great Falls and Arlington. If you love La Côte d’Or Café, if you are a long-time follower of Chef Jacques Imperato’s flair for French cuisine, or if you would like to experience authentic cuisine from Burgundy, come and enjoy an exceptional dining experience. You can also contact them at [email protected] and ask to be put on the restaurant’s mailing list so you can receive a daily email with specials. 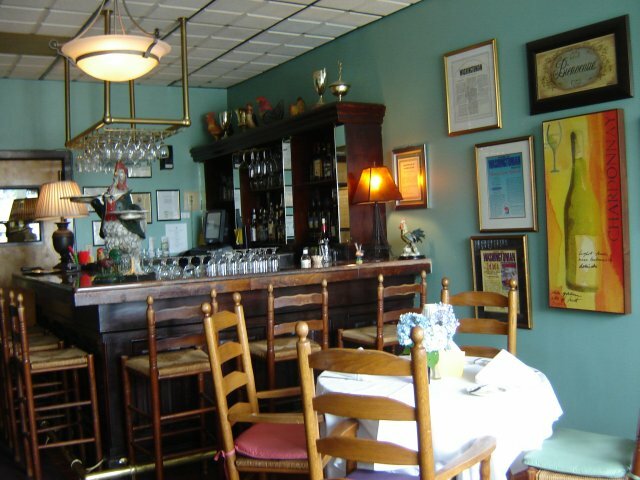 La Côte d’Or Café has been in business for over 20 years serving lunch and dinner daily from either à la carte or prix fixe menus. They alter the menu for certain holidays such as Mother’s Day. Saturdays and Sundays offer a special brunch menu. They can accommodate private parties up to 30 people in a designated party room. The restaurant provides catering as well.